Im a qualified software developer, but also im training to be a personal trainer because i felt this was more of fit for me as a person. my hobbies include going to the gym and cooking which i love to do everyday. To create a chilled and positive community around my channel and to share my journey through old and new games. I don't have much experience other than being one for a good friend of mine and it's mostly timing out or banning toxic people. Just be friendly, Play games i enjoy watching whilst moderating. towlie, asmongold i love these streams they always make me laugh, there crazy but stern. for as long as I've had twitch. Report CptBigSweat's profile for containing a lack of content. Report CptBigSweat's profile for containing unsafe links. Report CptBigSweat's profile for containing offensive content. Report CptBigSweat's profile for containing formatting errors. 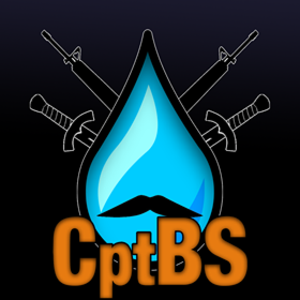 Report CptBigSweat's profile for containing invalid links. Report CptBigSweat's profile for another issue.